Skirt is raising the steaks and is now more than what you'd expect of a regular steakhouse. 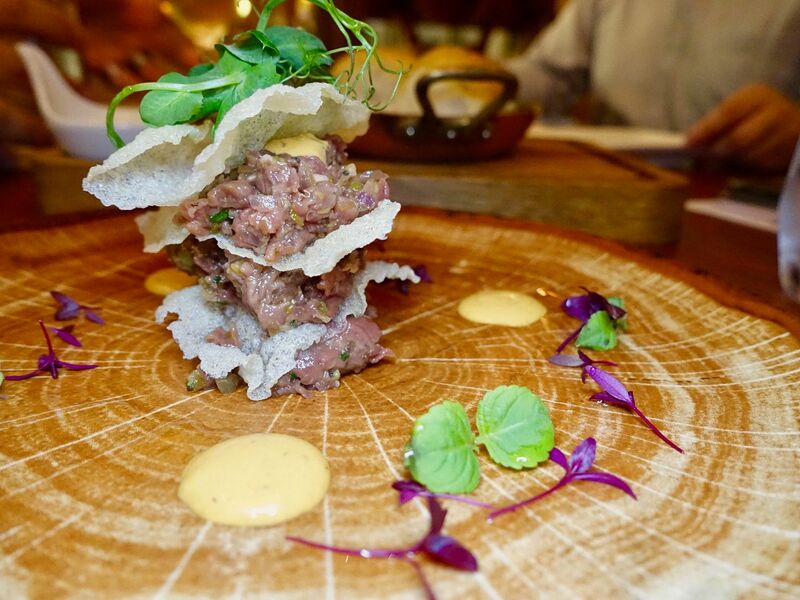 Using the season's best produce, Skirt is now serving a new menu of modern European cuisine with a distinct Asian overtone. 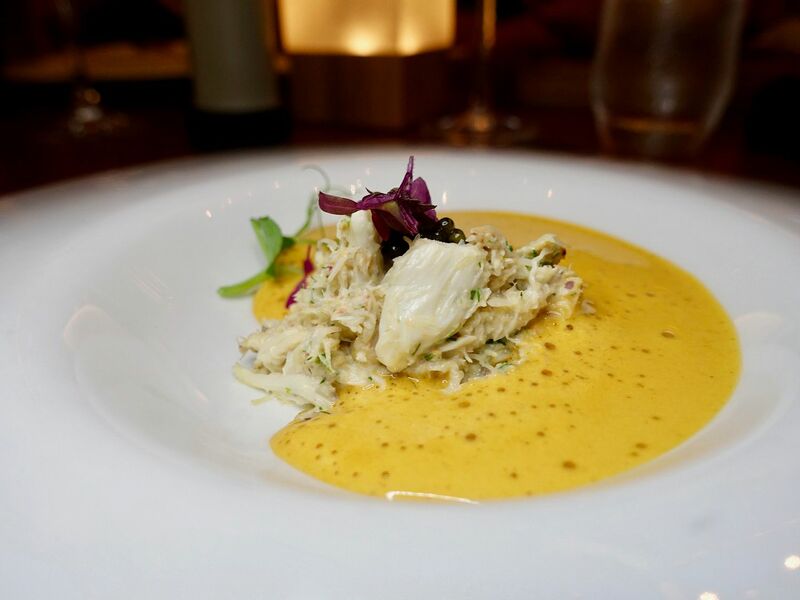 To prove that it's not just a steakhouse, the first appetizer we had was a Sri Lankan Crab and Caviar with Shellfish bisque and Lemongrass ($32). The cold sweet crab contrasted with the warm umami bisque, which reminds me very much of Thai food, probably due to the aromatics used in the dish. Another Asian tasting appetizer was the Marinated Raw Beef with Crispy Rice and Chipotle dressing ($28) which is only available for lunch (Skirt is now open for lunch on Saturday and they serve a bistro style menu). If you like your pungent onion, this spiced beef dish will hit the spot. Me.. well i'm more of a regular beef tartare girl. 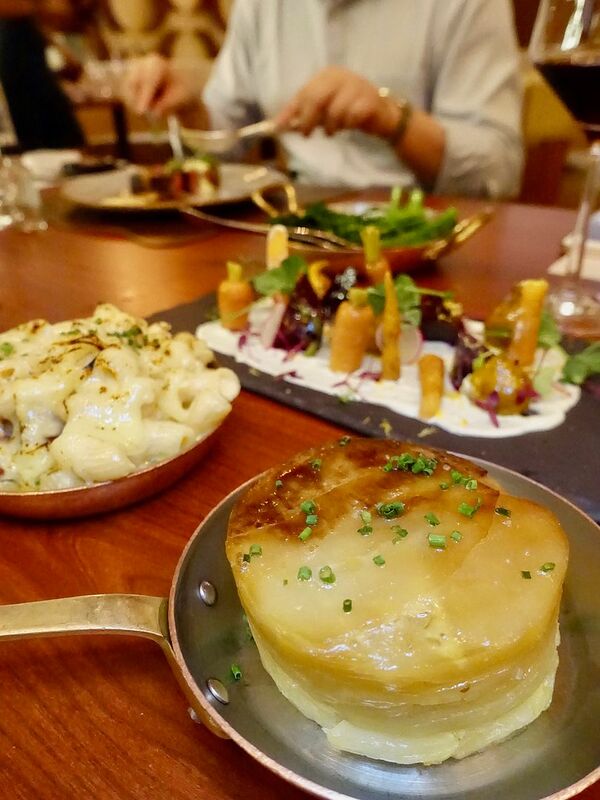 There are other slight twists to the typical steakhouse appetizers, like the Oven Roasted Bone Marrow ($45) which was stuffed with escargot and Café de Skirt Butter. I'm not a fan of bone marrow since there's absolutely no flavor in them are is always very oily. What worked here is garlic butter that flavors the escargot and the bone marrow at the same time. Fresh sourdough is served with this to help you mop up all that mess. Sweetbread vs Sweet Bread. Which will you go for? 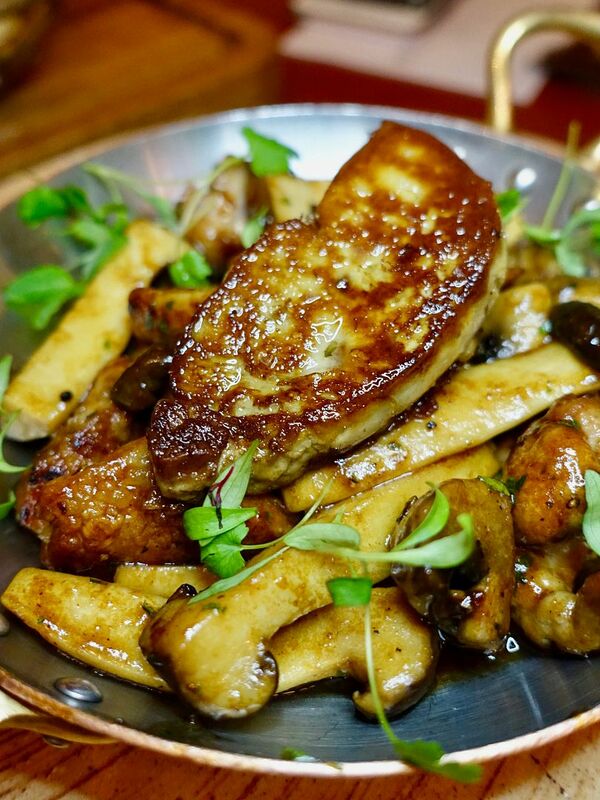 If you got that mixed up, well, you may think that the sweetbread in the Veal Sweetbread and Foie Gras ($45) is a doughy fried carb. Well, brain and pancreas do have that kind texture. I much preferred the pan seared foie gras which was buttery. The richness of the offals is cut by the tangy red wine jus but the mushrooms kinda soaked up all that oil. Definitely not a dish for the faint-hearted. Literally and figuratively. Of course, what's a steakhouse without a proper steak! 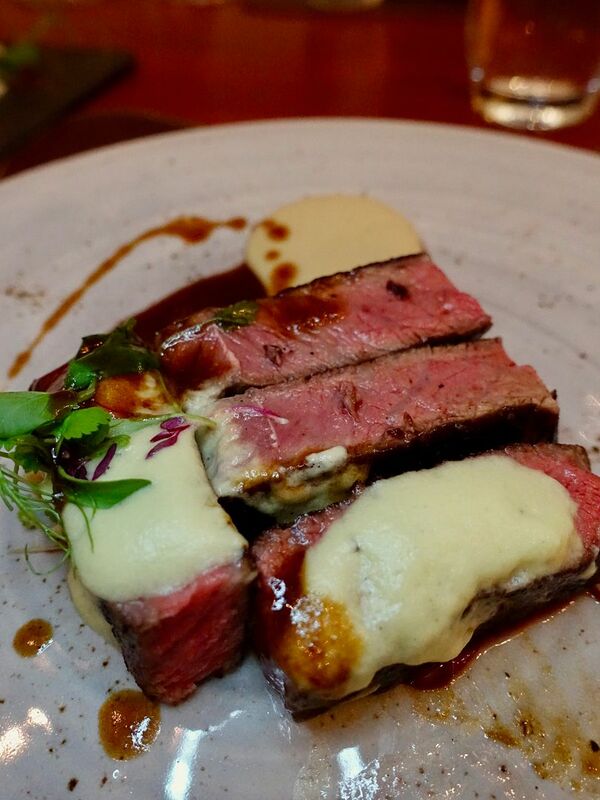 We had the Chef's special, a Grilled Cape Grim Sirloin with celeriac foam, truffle and artichoke caviar. I had mine medium-rare and it was perfect. A similar cut is the Black Market Sirloin ($82) which is on the menu. To accompany the meat, i'd definitely order the Baby Beets and Blunts with Labneh ($21) because it's cold and refreshing with a lemony burst. Eat your greens! 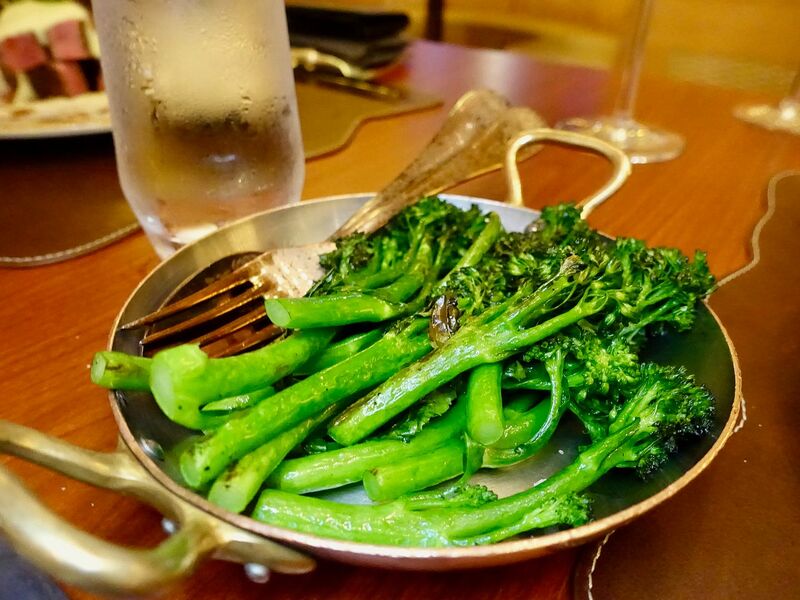 The Broccoli Rabe ($11) was buttery and salty but still provided the dose of fibre. 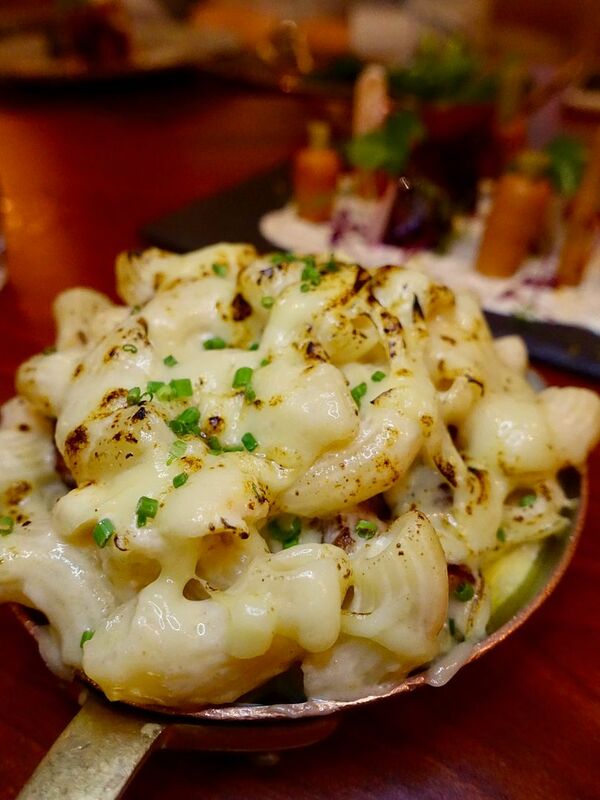 For carbs, i'm likely to go with the Lobster Mac & Cheese ($19) instead of the layered Duck Fat Potatoes ($15) because who can resist gooey cheese! There are some chunks of lobster that required some poking around to find. Share this with company as it's unlikely one can stomach the whole plate, even though the cheese wasn't that rich. 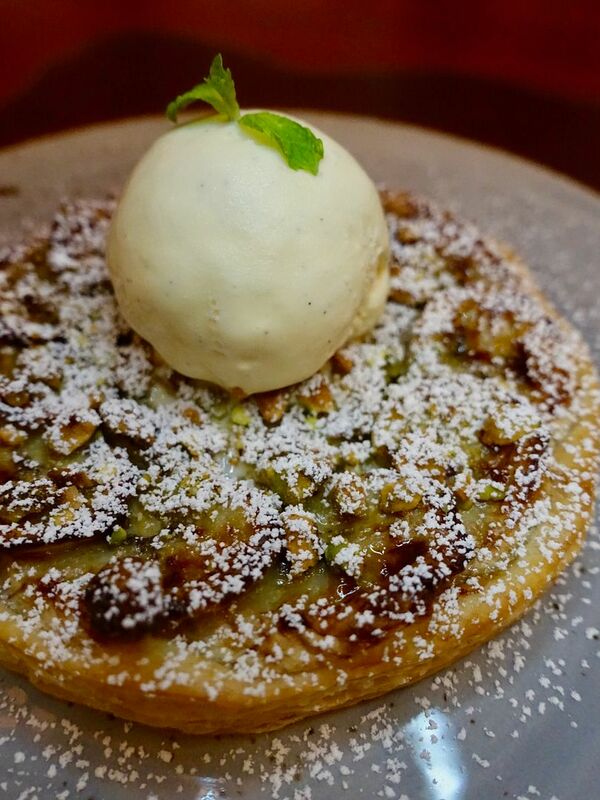 Dessert was a surprise to us and despite all that food, we all made space for the Banana and Pistachio Pizza ($18) with vanilla bean ice cream. YES WE EACH HAD ONE. Gosh that thin crispy filo pastry base was amazing and when the ice cream melts on it, it turned a little soft and chewy. Plus the pistachio fragrance was amazing. Some hits and misses at Skirt but the steaks are still great, and there are alternatives for non cow-eating creatures, and boy you MUST have their desserts.